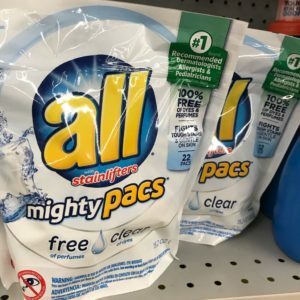 This is a reminder you can get some really fun detergent deals this week! 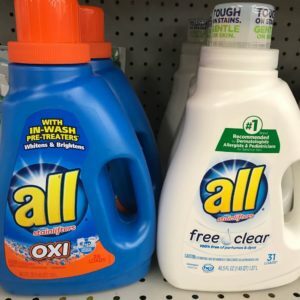 You can get 49¢ liquid detergent at Walgreens. There were some new printable coupons available on Sunday but they are no longer available to print. We do have insert coupons you can use though. Note: Many stores will not take the $2 coupon since the product is 1¢ less than the coupon… so go armed with the $1 off coupon to get them for 99¢ if your store says no.